1. Children are truly creatures of habit. They like consistency, routine, procedures, and expectations. Even if you’re not organized, most likely the classroom teacher is and each classroom follows a system each day at school. Talk with your child’s teacher about the current classroom routines for ideas to mimic at home. 2. At school, each child has a place for a backpack; give him or her the same at home–by the door you enter/leave each day (maybe on a hook or bench) for quick referral and retrieval. 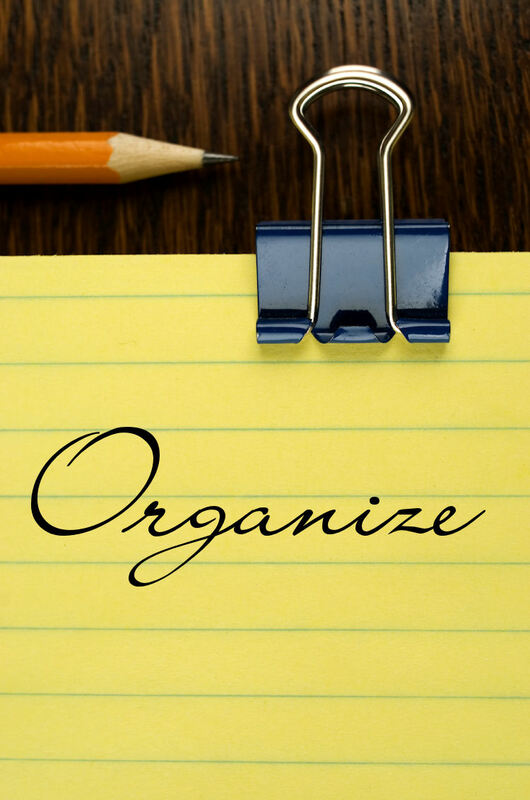 Spend a minute every day cleaning out the backpack, checking for homework or notes, signing folders or assignment books, and organizing for the next day. This will help you greatly in the morning. 3. Choose one uncluttered place to designate as the “homework spot,” just like your child’s assigned seat in the classroom. Viewing this space as “where I do my work” makes it easier to concentrate. Just like the teacher has a place for supplies, it’s also helpful to stock this homework area neatly with supplies like crayons, pencils, other writing tools, a ruler, notebook paper, etc.–everything is at the ready. You can find fun storage containers at the dollar store and other places. 4. Study the family schedule and build in a consistent homework time as part of the daily routine each week–no exceptions. 5. Use the assignment book and cross off or check off each task when completed (this is empowering for everyone!). 6. If homework is online (in a program like Edmodo or Google Drive), set up a folder on the computer and a system for access. This is also a great time to talk about cyber expectations and safety with your child. 7. For graded work sent back home from the teacher (and to prevent additional clutter), use a banker’s box and toss in anything the child wants to save as he empties the backpack, then recycle the rest (our bins out back take recycled papers). Celebrate successes! You can add much to this basic list and please consider yourself invited to do so! Little ideas like these go a long way in the daily hustle and bustle of school-to-home-to-school. As always, thanks for being our partners and participating members in our learning community. Welcome back, LME; Happy 2015! Note: School starts again on Tuesday, January 6th @ 7:45 a.m. Wear your jeans and favorite college shirts tomorrow! This entry was posted in Personal Reflections and tagged organization, organize. Bookmark the permalink.